Fall is in the air, and if you’re like most Colorado residents, then you’re preparing to bundle up with your favorite blanket, a good book, and a hot drink. 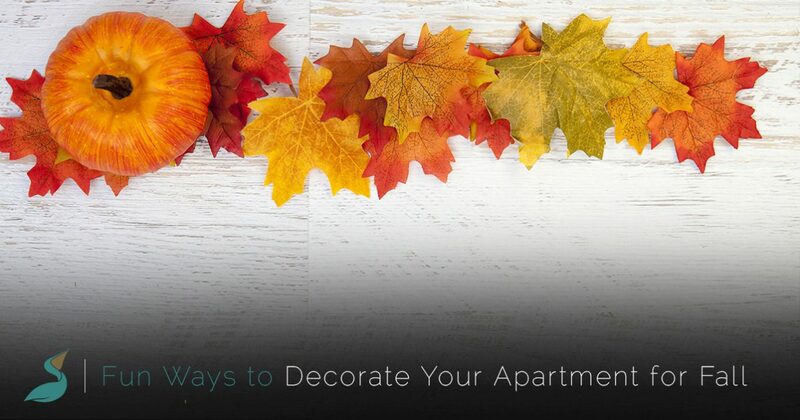 We’re equally excited for fall, and in today’s post, we’ll provide you with a few ideas that will help you decorate your apartment this fall. If you’re looking for apartments for rent in Windsor, then come and take a tour of Pelican Bluff Apartments! Our new apartment complex has exceptional amenities and spacious floor plans we know you’ll love. We look forward to seeing you soon! Lights are one of the most versatile decorations with which to decorate. While it’s too chilly to sit outside for long periods of time, you can use them outside on your patio to give your apartment a unique and trendy look. White lights will look great throughout the year, and you can even move them inside as the temperatures begin to drop. Try hanging them around a mirror in your bedroom, or use them in your living room as accent lighting when you host your friends and family members for movie nights. As Halloween approaches, you can purchase orange, purple, and red lights to let trick-or-treaters know that your apartment has plenty of candy. You can also repurpose these lights when the holidays roll around, as long as they aren’t too spooky! There’s nothing quite like walking into a home that smells like fresh cookies on a crisp fall day. 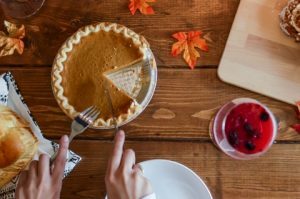 You probably have fond memories of coming home to delicious fall treats, and scented candles are one of the best ways to bring back childhood memories without increasing your waistline. While we don’t advocate open flames in our Windsor apartments, we do encourage you to find alternative ways to fill your home with delicious, fall-inspired scents. There are almost more flameless candle options than traditional candles on today’s market, and you may even find that they cost less and last longer than normal candles. Imagine how wonderful it will be to come home to a place that smells just like pecan pie or chocolate chip cookies! Halloween is sometimes considered the peak of the fall season, so take these next two weeks to really get into the spirit of fall! Our apartments for rent in Windsor have plenty of space for your friends and family to come and celebrate, so throw a fun pumpkin carving party where everyone can create their own jack-o’-lantern (just make sure that you’re using electric candles if you decide to light yours up!). Additionally, you can make your way to your favorite local department stores to find affordable Halloween decor that can make your apartment even spookier as October 31 approaches. Try hanging fake cobwebs from your deck or putting up a fake scarecrow in the window as the big day gets closer! Pelican Bluff’s apartments for rent in Windsor deliver luxury living at an affordable price. We would love to have you here for the holidays – come by for a tour today!